We are pleased to announce the release of our brand new product family “EonStor GSe”, an entry level unified storage solution designed to deliver efficiency and ease-of-use in a single consolidated file and block system. EonStor GSe family not only delivers flexibility for both structured and unstructured data, but is also budget friendly to meet the demands of all your customers. If you require localized versions of the above document or any further support, please contact our sales representative. 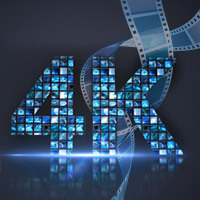 We have partnered with Tiger Technology to deliver a true 4K multi-user workflow storage solution offering outstanding performance at an unbeatable value. 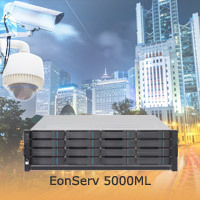 Together, Tiger Serve and Infortrend EonStor DS 4000 storage arrays provide producers with the ability to handle the most demanding production and post-production applications with a complete, advanced-yet-simple, high performance and budget-friendly shared storage solution. More Infortrend media and entertainment solutions can be found here. Infortrend and Milestone have joined forces to deliver Infortrend NVR appliance “EonServ 5000ML”, a server-storage hybrid enterprise appliance pre-loaded with Milestone VMS and Windows 7 professional specially designed to meet the needs of mid-to-large scale and distributed operations. It delivers massive capacity of up to 2.5PB, outstanding performance and integrated RAID protection, making it the perfect surveillance storage server for a wide range of industries. 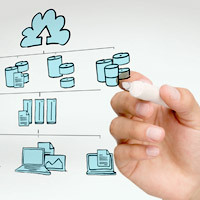 For complete NVR solutions, please clickhere. We recently expanded our family of expansion enclosures by adding two new models: JB 2060L and JB 3060L. These systems are the first to integrate our unique screwless drive deployment design that allows users to easily install drives via its lock system. These new JBOD series also offer EonStor DS family users additional storage capacity and high density with their 4U 60-bay form factor. 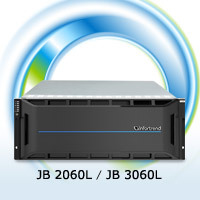 For more information about JB 2060L, please click here. For JB 3060L, please click here. What is all-around 12Gb/s SAS supported storage? An all-around 12Gb/s SAS supported storage system means its host, drive side, expansion port and even the compatible expansion enclosures all support 12Gb/s SAS, so that you get true 12Gb/s performance throughout all your systems. For more technical questions, you are welcome to contact Infortrend support team via Infortrend Customer Support System (ICSS).